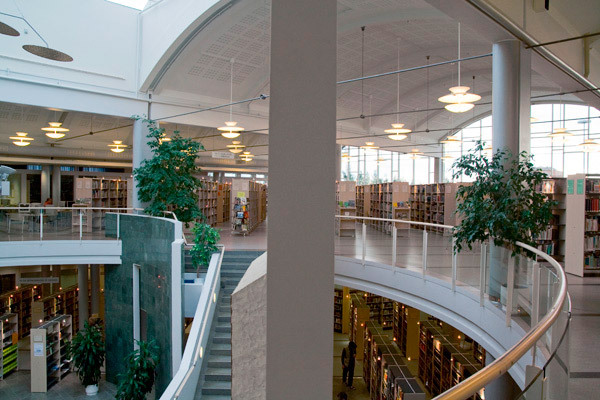 Kokkola City Library provides a fundamental civic service available to the public in close daily cooperation with the COU – Central Ostrobothnia University of Applied Sciences Library, Europe Information and Luckan, the information center for Swedish-speaking Finns. 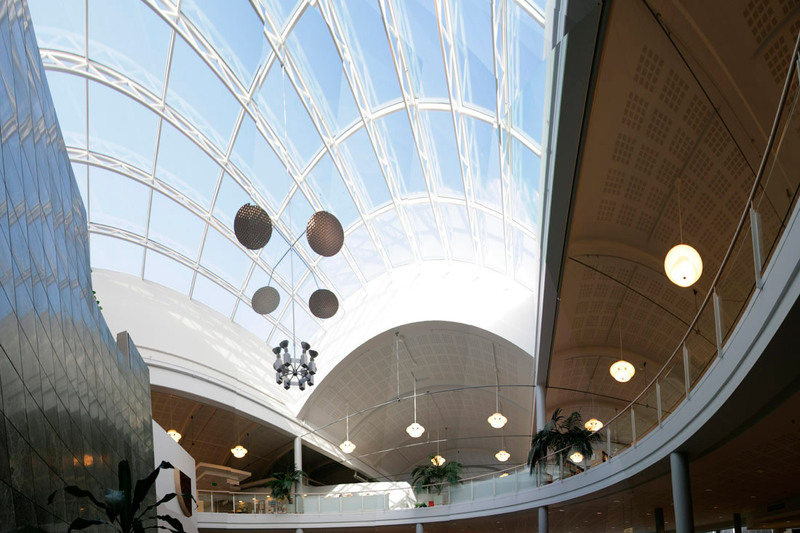 Curved shapes, light colours, and airy spaces separated by glass walls are characteristic of the architecture, with a large window wall opening to the terrace. The central atrium helps visitors in orienting themselves. As there are partition walls only where peace and quiet is needed moving from one department to the next is easy. The physical space acts as an important counterbalance to the virtual world of digital culture. Central Ostrobothnia University of Applied Sciences and the Municipal Federation of education in Central Ostrobothnia took part in the whole building process. 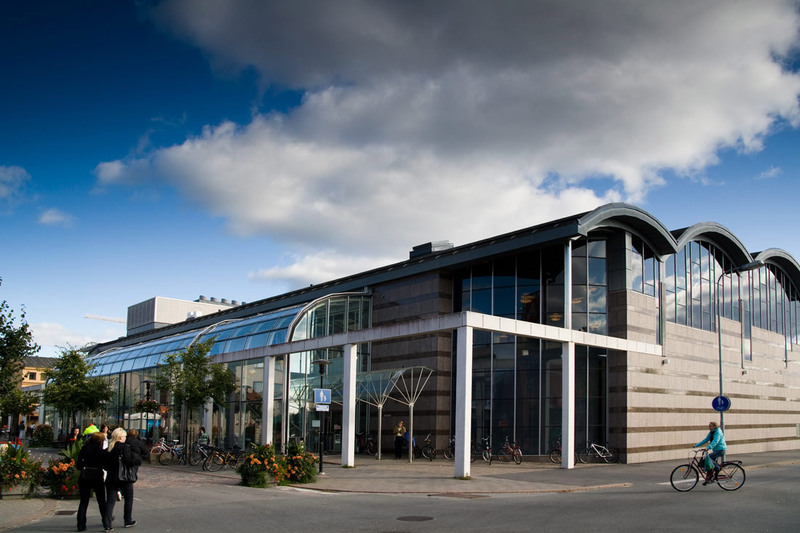 As a result, the library of the University of Applied Sciences is now located in the same building. 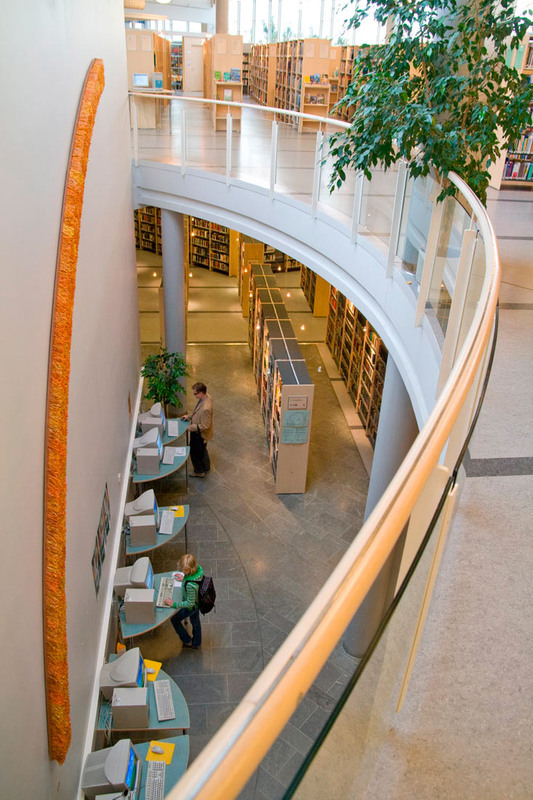 A new library philosophy is manifested in the coexistence of the two library units – with shared premises and two collections.